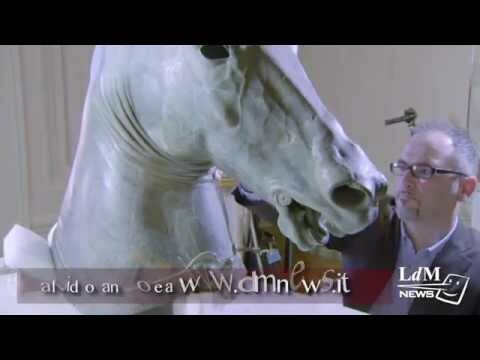 A bronze horse head sculpture has been in storage for more than a century at the Florence archeological museum. The statue dates back to 350 b.c. which makes it 2,300 years old. It was once part of the vast collection of Lorenzo the Magnificent before it was moved to the museum in 1881. Friends of Florence have paid for restoration to be carried out. The restoration was long and complex. It raised many questions of which methods to use in order to conserve it, due to the ancient materials used. The statue will be in an exhibition at Palazzo Strozzi until July before traveling to America.